You may be able to wax, tint and gel within an inch of your customers life, but if you donâ€™t market your beauty business correctly, your phones may never ring and your appointment book will never be full. Below Iâ€™ve detailedÂ a collection of tips, advice and knowledge that Iâ€™ve gained from helping hundreds of beauty businesses growÂ over the last five years. If you have any tips of your own, Iâ€™d love to hear them. Social Media Is Your Friend In this day and age, if you aren't on social media, you are missing a huge trick. Showcasing your work on the likes of Facebook and Twitter is a great and very cost effective way to promote your services.Â First we need to build followers. Ask your friends and family to share your photos and to tell people how great your service is. If you have staff, get them to do the same. This will have an instant impact, creating enquiries and generating sales leads.Â Build an Amazing Website We have built websites for some fantastic salons and boutiques around the country. The purpose of the websites is to build your brand on your own terms. Social media is awesome, but one day people will lose favour with how they work, or facebook will change something in their algorithm and guess what, it won't be used. The number one benefit of having your own website, is that you are in charge. So lets build an awesome website, one that doesn't cost the earth. Weâ€™ll get your price list, contact details and some super shots of your work out into the realm of the internetâ€¦and by heck let's integrate your social media in a non intrusive way. Look at http://hotwaxbelfast.com, we have added their instagram feed to the sidebar of their website.Â I am a firm advocate of starting a blog. Not only is this great for generating authority for your business, but also it helps people find you with related keywords. If for example you are writing about HD Brows or Gelish Nails and this is found by google, it will help to rank you above local sites that don't do such activities. Leeanne from Belle Dress hire regularly discusses the latest fashion from the catwalks and this generates a huge awareness of her business and traffic to her site. Even this blog post will hopefully generate business from Beauty businesses looking to increase their marketing efforts both online and in print. You could also add a newsletter sign up and that brings us toâ€¦. Newsletter Marketing Each and every month we send out a newsletter to our customers. For days after, we are busy, not only with customers who want to avail of the offers presented, but also those who may have forgotten about us, or even have a completely unrelated print and design requirement. We use mail chimp and tailor a custom template each and every month. Itâ€™s super easy and as your newsletter list grows and grows, youâ€™ll see huge benefits and massive growth in enquiries when you send. If you have news, tell it. A spare appointment you are looking to fill, get it out there. What you had for lunchâ€¦not so much. Local Directories This isnâ€™t one youâ€™ll see me post often, but having your business on Yelp, Four Square, Google+ and some local directories will certainly help people find your business. Usually its more a case of them finding a telephone number or confirming an address, rather than finding a new beauty salon for the first time, but never leave an opportunity unturned to market your business. Loyalty Pays Honestly, one of the most beneficial marketing tools for beauty salons is a loyalty scheme. After spending hundreds of pounds on beautifying yourself, wouldn't it be great to get a little treat, a neck and shoulder massage, a few sample products. It certainly gives out a great impression and ensures customer loyalty. Loyalty cards are extremely inexpensive to print and management is super easy. We thoroughly recommend them. Or how about a referral scheme. One of our clients offers a sample freebie for every referred client. Flyers and Price Lists For the majority of beauty salons it makes sense to batch together the marketing flyers and price lists. Secondary to service, price is the second biggest discerning factor in choosing a new salon. Weâ€™ve printed 40page booklets, A6 flyers and A4 tri-folds as price lists and flyers. There is no right answer, only what you think is right for your business. Customer Service Even with the best marketing in the world, if the service is not up to scratch, people will talk and customers won't return. Constantly ask for feedback from your customers and ask them to refer you if they are happy. Even in Kaizen, if someone comments how great our service was, I ask them to tell someone else. Weâ€™re all in this together and it makes a great difference to the level of business we receive as we have hundreds of â€œsales peopleâ€ telling others how great we are. Over the past four years Iâ€™ve helped hundreds of local beauty salons, hairdressers and nail technicians brand, develop and grow their business. 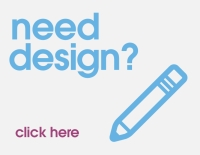 Iâ€™ve love to help you with your design, marketing and print, so please do get in touch if you have an enquiry.